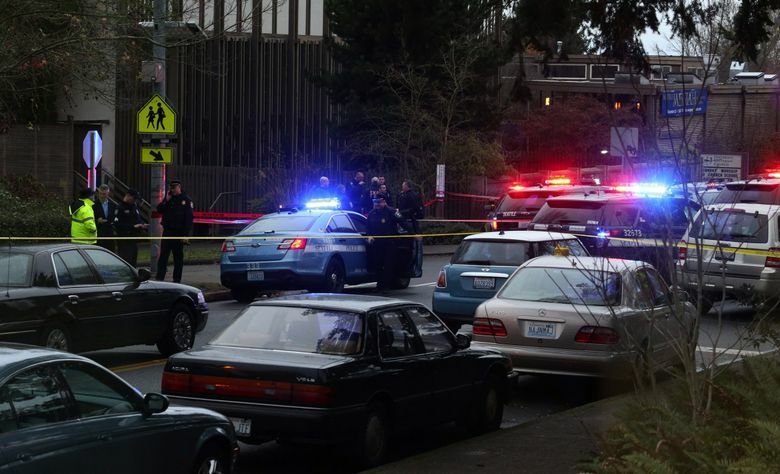 A chase began in Belltown and wound through the North End, resulting in several crashes, including two that injured police officers. Monday: Police released a graphic video of the chase and shootout. Watch it here. 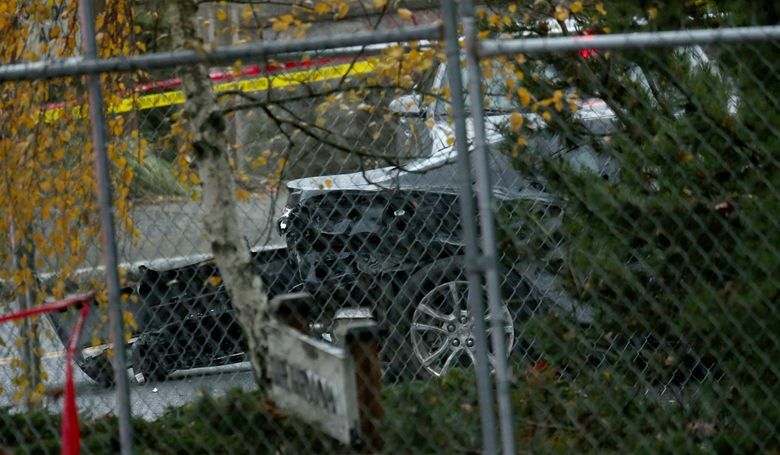 Tuesday: Officials identified the carjacking suspect as Raymond Azevedo, a Pierce County resident with a criminal history. 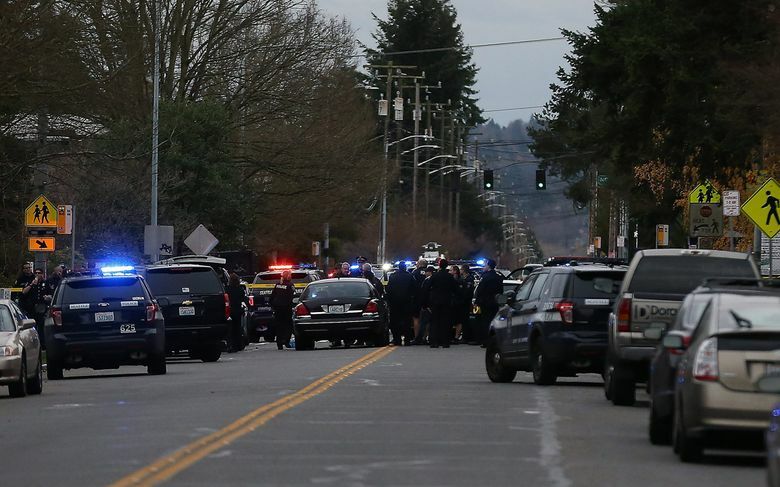 A wild police chase that started downtown and wound through Seattle’s Montlake, Northgate, Ravenna and Wedgwood neighborhoods Sunday afternoon ended near Northeast 68th Street and 35th Avenue Northeast in a barrage of police gunfire that killed the suspect. 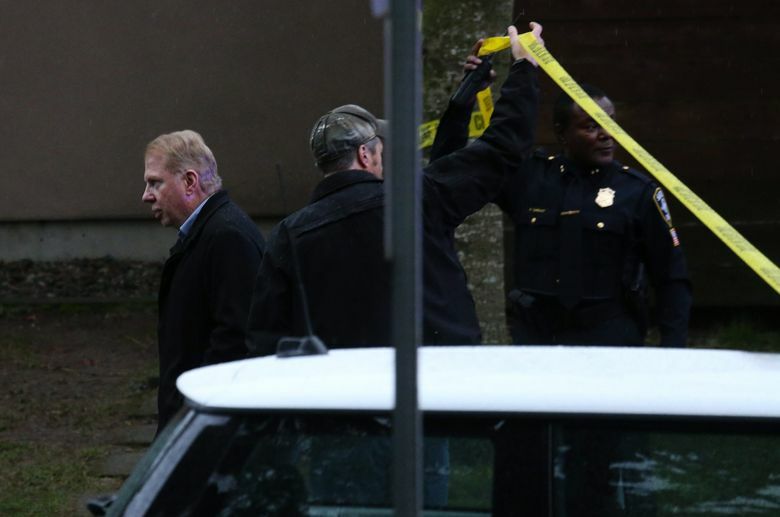 Identified only as a man in his 30s, he carjacked at least two vehicles, fired at pursuing police and careened into multiple vehicles, said Police Chief Kathleen O’Toole. 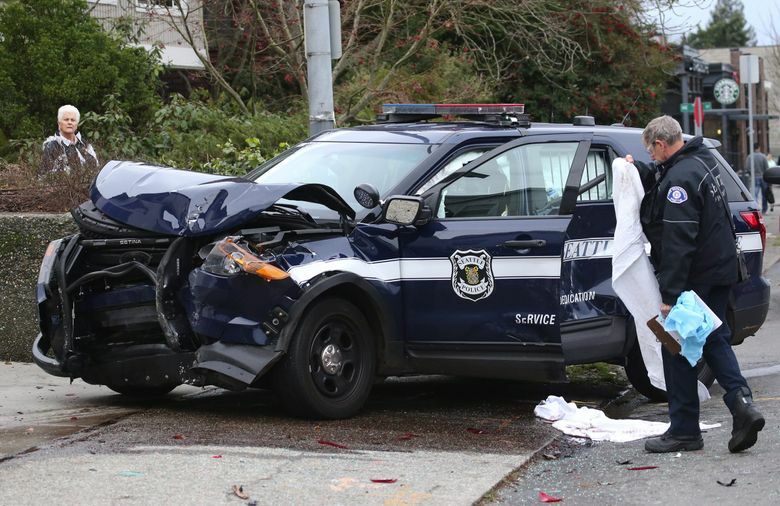 Two officers were hospitalized with nonlife-threatening injuries caused by vehicle accidents, and several civilian drivers were also treated for injuries. 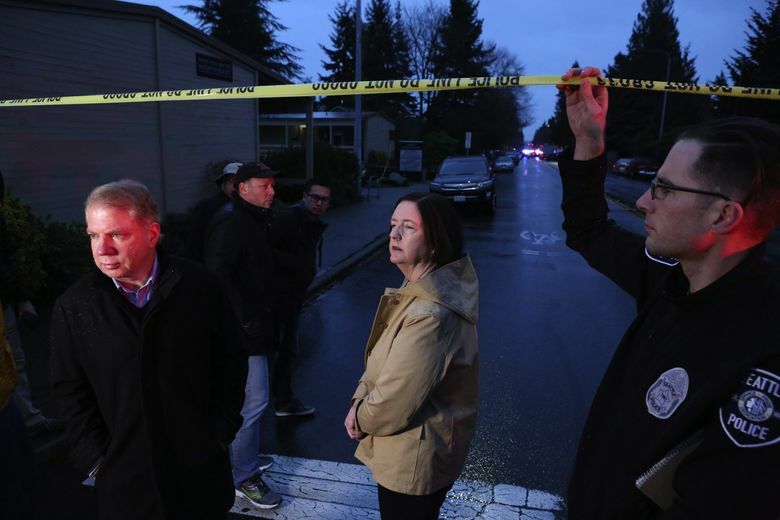 Mayor Ed Murray, who was also at the scene, credited a quick response by the police for the fact that no civilians were seriously harmed. 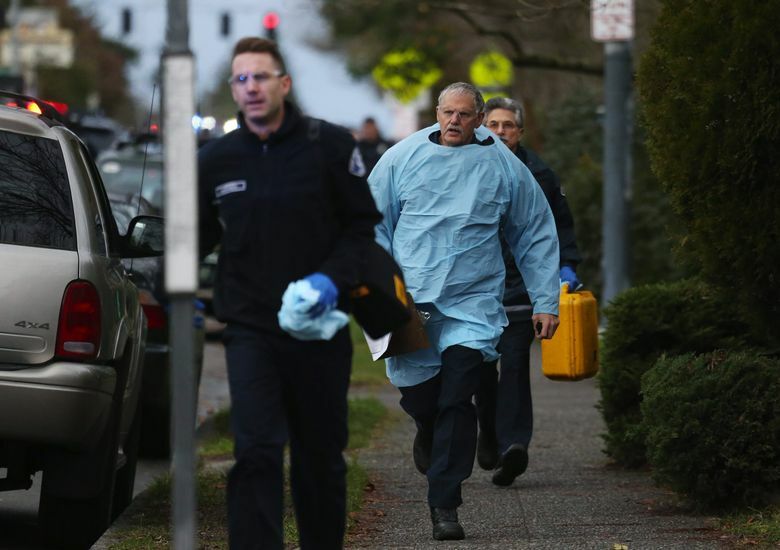 As many as 11 officers exchanged gunfire with the man, and all will be placed on paid administrative leave during the investigation, police said. 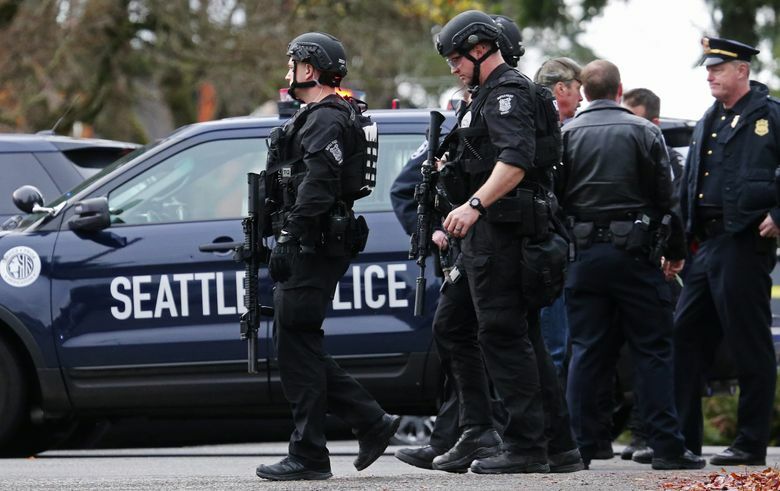 Officers initially responded to a report of a man with a gun in a Belltown coffee shop at about 12:30 p.m. He was tracked to a local tattoo parlor, and when officers arrived the man fled out the back and hijacked a red Volkswagen at gunpoint. He drove to the Montlake area, where he stole a second vehicle at gunpoint. O’Toole said the man may have tried to carjack a third vehicle. 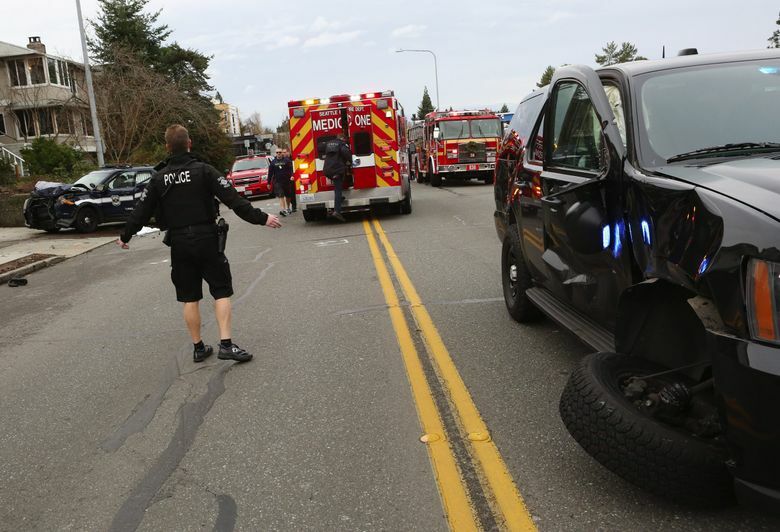 There were also reports that he fired shots near Husky Stadium, she said. The chase involved officers from throughout the city and lasted about an hour. Several car accidents were reported. Police attempted to run the car off the road or ram the fleeing vehicle several times. On 35th Avenue Northeast, across from Messiah Lutheran Church, a police SUV with its front end smashed and lights flashing straddled the sidewalk. A second police SUV sat in the middle of the street, with its right front wheel barely attached. Police officers reported speeds in excess of 70 mph while trying to keep up with the speeding suspect, who was driving a black Camaro as the chase wound its way through the North End. Shots were fired in at least two different locations, according to police. O’Toole said detectives recovered a semiautomatic handgun near the man’s body. Seattle resident Kim Woods was driving home from a hair appointment when she saw a Camaro heading toward her. 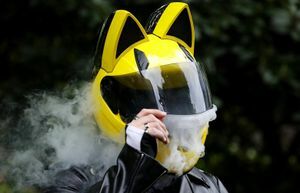 “He was going so fast, right at me,” she said. The vehicle swerved and nearly lost control as a line of speeding police cruisers roared up behind it, in pursuit. When Woods reached her home a few minutes later, the sounds of shots rang through the air. 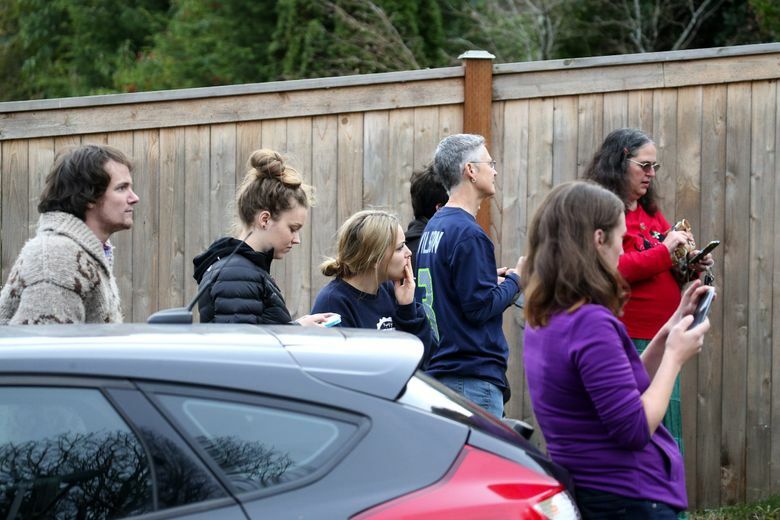 “It was just a barrage of gunfire.” she said. Bob Bishop was on foot near Northeast 75th Street in Wedgwood and saw the Camaro race past. The window of the Camaro was shot out, and the air bag was deployed, Bishop said. Shots were fired. O’Toole said she had reports that the suspect was firing at officers from the moving vehicle. 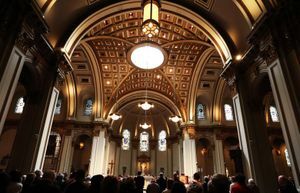 “I could smell gunpowder,” Bishop said. The suspect crashed into the rear of Henry Smelser’s truck on 35th Avenue Northeast. Smelser had pulled over to make way for a half dozen police cars, then saw the suspect driving directly toward him. Henry Smelser talks about a police chase he witnessed in which his truck was clipped by the suspect and he heard bullets flying. A resident of a nearby apartment yelled at Smelser to take cover. Another woman who didn’t want to give her name said she had pulled near the site of the final shootout when police told her to get out of her car and run. Police started shooting, using her car as cover. “I was hoping I wouldn’t get shot,” she said. Murray stressed that the incident involved only a single suspect and had no apparent connection to recent terrorist attacks. But he decried the prevalence of gun violence across the United States. 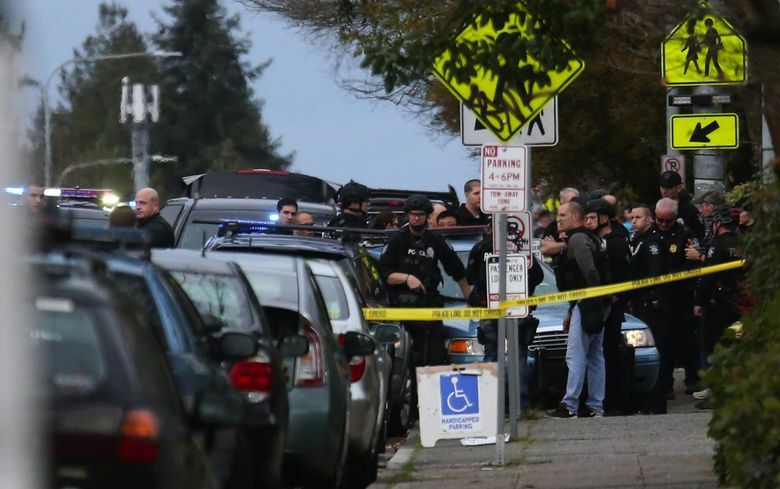 Officials at the scene have called out the department’s Force Investigation Team, which responds to serious incidents of use of force and officer-involved shootings. Sandi Doughton at: 206-464-2491 or sdoughton@seattletimes.com. Reporter Mike Carter contributed to this report.